One of the blockades staged by villagers on the road to the proposed Baram dam site. Villagers from Baram in Sarawak’s interior today staged two blockades to stop contractors from carrying out any initial quarrying work on the proposed Baram dam, one of the 12 hydroelectric dams planned by the state. The blockades – one on the access road to the proposed dam site and the other near the proposed dam site – were manned by some 200 people from over 20 villages affected by the Baram Hydroelectric Project. A view of the Murum Dam. The state has been called on to run a comprehensive cost-benefit analysis on the proposal to implement large dam projects. This is a systematic process for calculating and comparing benefits and costs of a project to determine if it is a sound investment and to provide a basis for comparing projects. 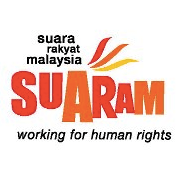 Human rights NGO Suaram has condemned police action against Penan protesters fighting against the impoundment of the Murum dam, urging the police to instead protect the indigenous people. Suaram coordinator R Thevarajan said that by arresting a protester and breaking up the blockade the community had put up to halt progress on the dam, the police are siding with the exploiters instead of the rakyat. Sarawak Land Development Minister James Masing has warned his colleagues in the government and large-scale developers they need a “human touch approach” in dealing with the Penan community as the eyes of the world are watching the government’s moves. “If we approach big development projects affecting our people in the future in this manner, I am confident that we will be successful and (will be left) with less problems. For the sake of their children’s education, a group of Penan parents have decided to hang up their hunting tools and set up home in an abandoned chicken coop. These Penan parents made their heart-wrenching decision to move away from their longhouse in the interior of Murum in the Belaga district of Sarawak’s Kapit division, because there is no primary or secondary school there. 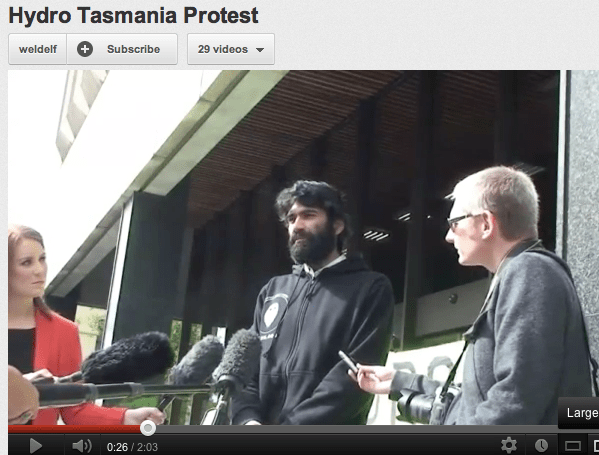 No engagement, just one demand that Hydro-Tasmania pull out of Sarawak! As the Penan people of Murum enter the fourth week of their blockade against the Murum Dam, local and international NGOs have rallied to their support. Penan resettlement sites: ‘Why notify only now’? 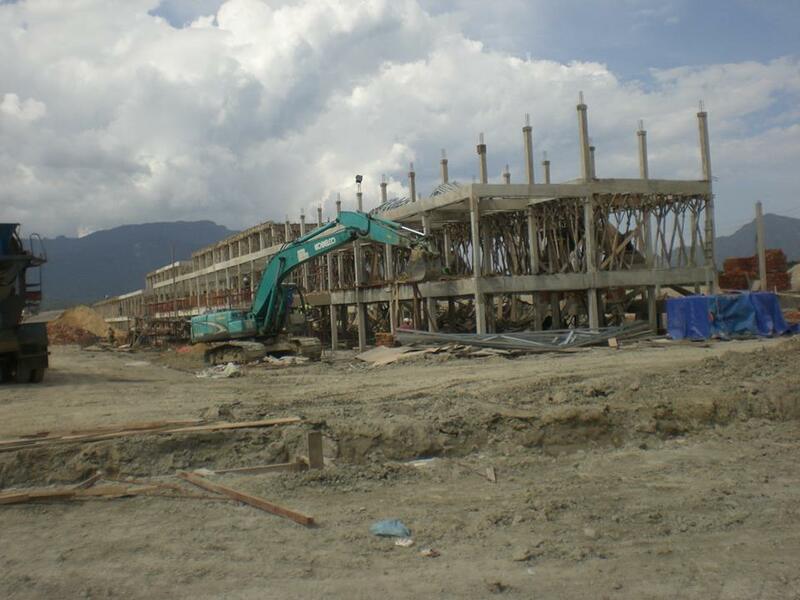 A ‘first’ notification on resettlement sites issued by the state government to Penans affected by the Murum dam which is 75% complete has raised more questions. 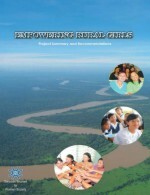 Save Rivers Network (SAVE Rivers) has ridiculed the first notification of the Social and Environmental Impact Assessment (SEIA) Report for the proposed resettlement sites and service centre for the Penans affected by the Murum dam project. 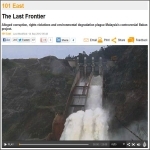 Whistle-blower website Sarawak Report has claimed that the two areas earmarked for the resettlement of 1,417 natives affected by the Murum hydroelectric dam project had been taken over by palm oil plantations. 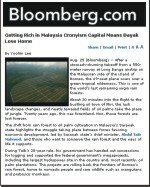 “Maps already show that the poor quality lands that have been chosen for the two so-called resettlement zones of Tengulan and Metalun have already been taken over by oil palm plantations,” it said, based on map comparison of the resettlement area published in the Resettlement Action Plan (RAP) for the Murum dam project. 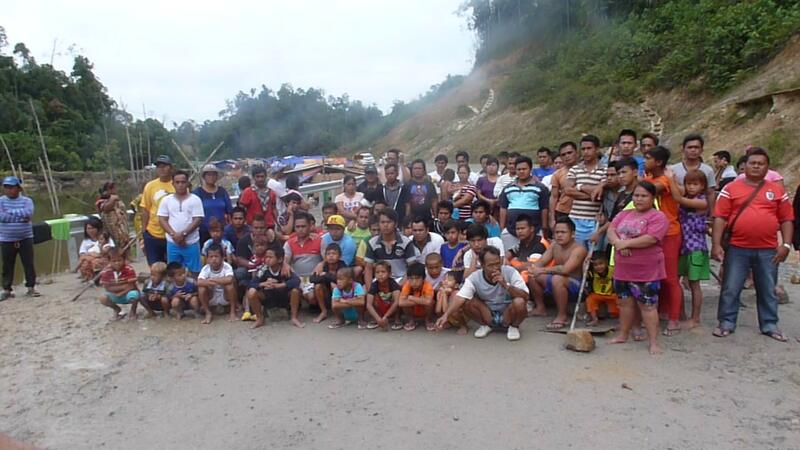 The Penan’s blockade of the Murum dam road began on 26th September. Leaked plans to resettle Malaysia’s Penan have surfaced, as the tribe continues to hold atwo-week blockade on the road leading to the controversial Murum dam. Anger is growing within the tribe, which says it has been ‘manipulated’ and ‘cheated’ by the Sarawak government as it makes way for the dam. 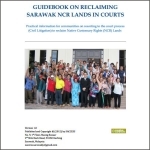 The Sarawak State Planning Unit (SPU) is calling on the public and interested parties to submit written comments and suggestions on the Social and Environmental Impact Assessment (SEIA) Report on the proposed Metalun Resettlement and Tegulang Resettlement sites for the Penans affected by the Murum dam. SPU is also asking for comments and suggestions on the Murum Service Centre. The problems of Penans affected by construction of the Murum dam will not be resolved as long as state government policies remain unfriendly to them, said Sarawak PKR head Baru Bain. He said that creating a special ministry to look into the Penans’ problems and demands is of secondary importance. “You can have a few ministers to look after their problems. 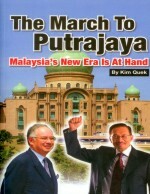 But if the ministers are ineffective, there would be no point,” he said. Stop Lying – We Are Still Here! 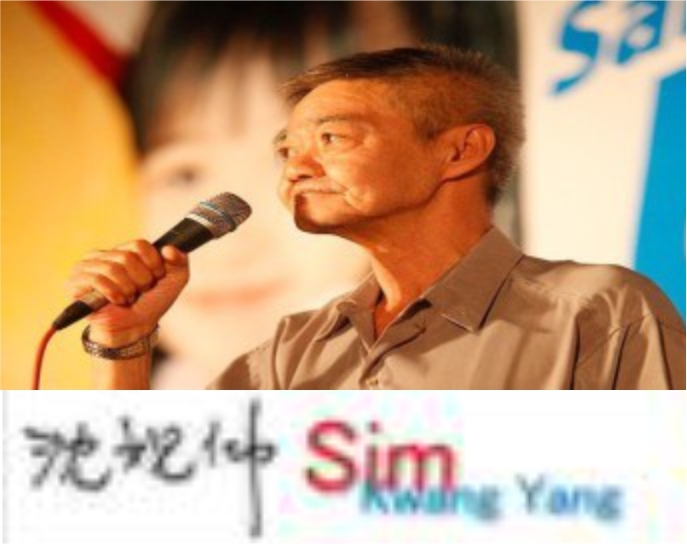 We are still here – the Penan are demanding a proper settlement with signatures. Penan blockaders, who have brought construction on the Murum Dam to a standstill over the past ten days, have reacted with outrage at the news that their assemblyman, BN’s Liwan Lagang, has been telling the media that a settlement has been reached. In response they have instead tightened and extended the blockade to another approach road to the dam. 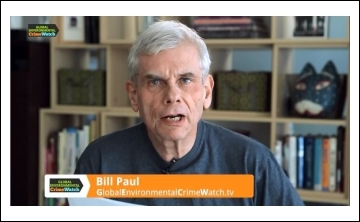 IT’S A LIE, Murum Blockade is still on: The Penans are fighting for SURVIVAL – HELP THEM! 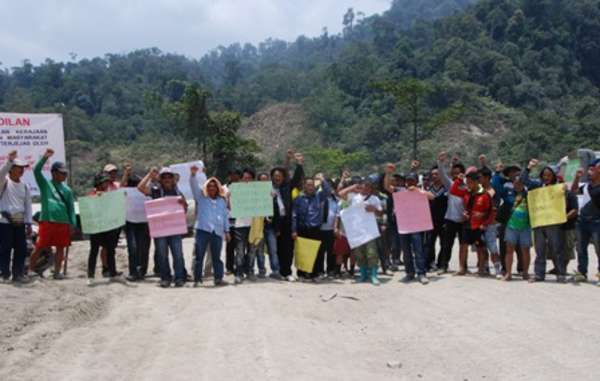 The Penans in Murum affected by the Murum Hydro-electric Power (HEP) Dam are still blockading the road leading to the construction site of the dam despite newspaper reports saying otherwise. Raymond Abin, coordinator for Sarawak Conservation Alliance for Natural Environment (SCANE) confirmed today via telephone that the blockade in Murum is still on and the reports in the newspapers saying that the blockade has been lifted is false. The Penans affected by the Murum Dam project claim that the government had four years ago agreed to a compensation package which they want honoured. Negotiations between the Sarawak government and the Penan community ended in a deadlock after the latter refused to accept any ‘compromise’ on the compensation package from the state. The Penans tightened their blockade of the Murum dam construction by cutting off another linkage road to the dam site starting on Thursday, thus paralysing the transportation of building materials worth hundreds of thousands of ringgit. The new blockade was set up on an old narrow logging road through an oil palm plantation, passable only for four-wheel drive vehicles. Orang Ulu leaders and non-governmental organisations (NGOs) are reacting strongly to the statement made by Land Development Minister James Masing alleging that the Penans are ignorant of the benefits of the Murum dam, resulting in them being unhappy. Masing had said that there was a need for better communication between the implementers of the project and the people at the grassroots.